– I did a column, “Where Are They Now, The Cruiserweight Classic Finals Performers” which you can check out at this link. – You can check out my top 51 matches of AUGUST list at this link. – We get highlights from last week. Gift of The Gods Title Match: Champion Dragon Azteca Jr vs. Ivelisse: Ivelisse attacks, hitting kicks, arm drags and then a superkick. The RANA follows and Azteca bails to the floor. Back in and the leg lariat scores for Azteca and he covers for 2. Azteca is reluctant to attack, but once Ivelisse fires up he does and covers for 2. He starts working the arm, and then locks on a crab and transitions to a side headlock. Ivelisse fights to her feet; Azteca slams her down and then misses a leg drop. Ivelisse follows with clotheslines, an enziguri and a tornado DDT for 2. She follows with the octopus hold, but Azteca counters into a side slam for 2. They pick up the pace, Azteca hits arm drags and flies to the floor, Ivelisse moves and Azteca crashes into the railing. Back in and Ivelisse hits code red for 2. She follows with strikes, hits the spin kick and that gets 2. Ivelisse lock on a choke, Azteca escapes and heads up top. Ivelisse cuts him off and then gets knocked back to the mat; she fires up, crotches Azteca, and lays in strikes but gets head butted to the mat. The top rope leg drop from Dragon finishes it. Champion Dragon Azteca Jr defeated Ivelisse @ 7:15 via pin [**¾] This was a pretty good opener, the crowd liked it, but it really felt as if Dragon Azteca Jr was constantly slowing down for Ivelisse. – XO Lishius & Joey Ryan appear and want Ivelisse to team with them to go after the trios titles. Ivelisse agrees. – Antonio arrives and makes the next match a #1 contender’s match. #1 Contender’s Match: Mil Muertes vs. King Cuerno: The winner gets a title shot next week. No messing around here as they go at it right away. Muertes overpowers Cuerno and lays in big strikes. Cuerno cuts him off with a jump kick, but runs into a snap slam and Muertes lays in more strikes. Cuerno fires back with a series of kicks, he heads up top and Muertes follows and hits the superplex. Muertes fires up and hits the chokeslam. Muertes plays to the crowd and heads to the ropes and Cuerno cuts him off with a knee strike. They work into a double down and then trade strikes and then spill to the floor and brawl. They continue to trade and get annoyed with the ref and toss him into the crowd. The brawl continues and the ref calls off the match. Mil Muertes vs. King Cuerno went to a double DQ @ 5:10 [**] This was ok for what it was, and likely sets up a triple threat for next week. – Antonio arrives and says he rewards violence and makes the triple threat for next week. Well, there you go. Muertes & Cuerno continue to brawl as Pentagon arrives to watch. – Jake Strong arrives and says if the challengers win the trios titles, they will defend against him, by himself. He’ll snap their ankles because he can and because it makes him strong. Trios Title Match: Champions The Reptile Tribe (Kobra Moon, Daga. & Jeremiah Snake) vs. Fenix, Drago, & Aerostar: Fenix is wearing black and moving very slowly to the ring. That boy ain’t right. Snake attacks at the bell and runs wild on all three challengers. Daga in and connects with kicks, covering for 2. He isolates Drago and tags Snake back in. They work quick tags, isolating Drago, and laying in chops. Snake tags back in and he and Daga work double teams. Drago fights back, causes miscommunication and lays in superkicks. The tornado DDT follows and another get 2. Snake rakes the eyes; Fenix tags in and hits a rolling cutter. He fights off Daga & Snake, runs wild with kicks, and Moon sneaks in. Fenix chases her away and Aerostar wants the tag and gets a rough one. Aerostar in and hits a tornillo on Snake. He runs wild for a bit and hits a cutter and Snake cuts him off and hits a dump suplex. Daga tags in and Aerostar hits the springboard code breaker but Daga fires back and cuts him off with the running kick. Wholesale changes to Snake and Drago. Drago controls until Snake hits superkicks and Drago RANAs him to the floor. He dumps Daga Aerostar follows with a high cross to the floor. Drago tags in Fenix and he helps Drago with an assisted dive. Fenix now goes PET SEMATARY and attacks Aerostar with a superkick and muscle buster, allowing Snake to hit the double underhook shoulder breaker as the champions retain. Champions The Reptile Tribe vs. Fenix, Drago, & Aerostar @ 9:12 via pin [***] This was a good and fun main event that kept a good pace, giving the reptiles a title defense, and the big realization that Fenix’s return via time travel left him fucked up as Aerostar warned. – Post match, Fenix shoves down Melissa Santos. Dragon Azteca Jr. arrives to check on her. 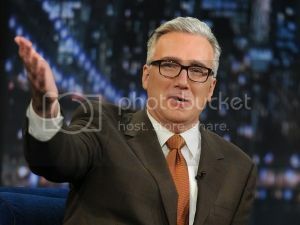 – We see Antonio Cueto enjoying a beer and Marty The Moth arrives. The Moth drops a pile of cash on his desk and he wants a gift of the gods title match. Antonio smells the cash and gives him the match for next week. Moth gives him more money and says he wants something else as we fade to black. 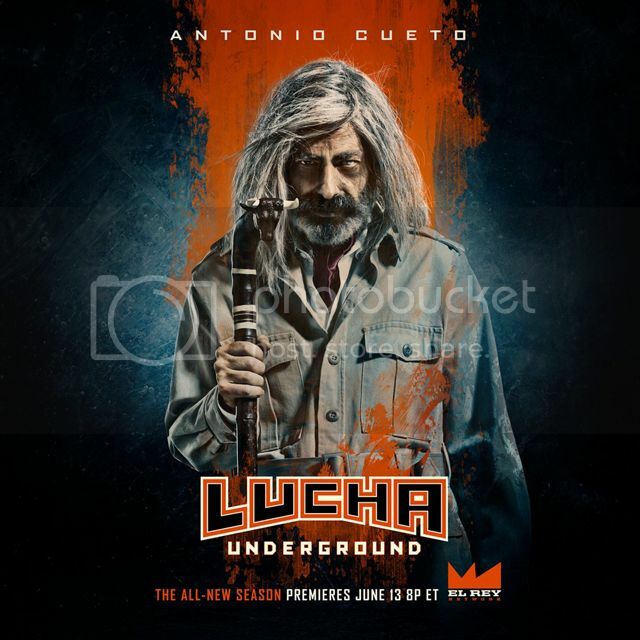 This week’s episode of Lucha Underground was another solid show that continued the trend of the angles carrying the show this season more than the wrestling. Dragon Azteca Jr. continues to defend his GOTG championship, we have a new trio in Ivelisse, XO Lishius, & Joey Ryan looking for gold, and the realization that Fenix is far from ok. Plus, we have Marty the Moth vs. Dragon Azteca Jr & Pentagon vs. Mil Muertes vs. King Cuerto set for next week.